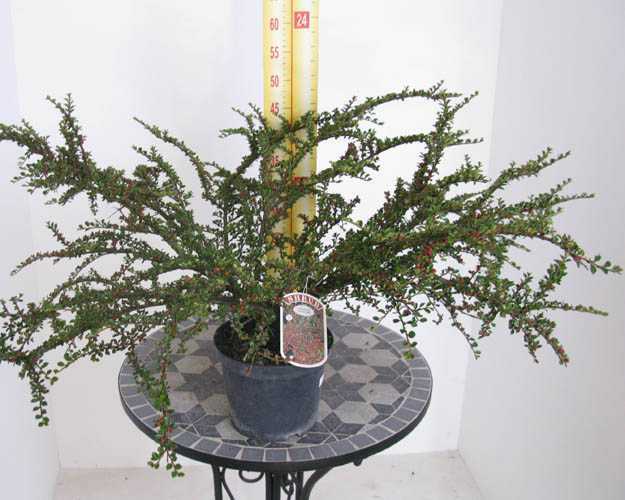 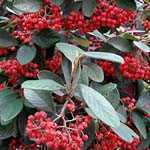 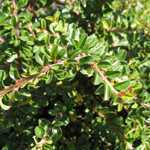 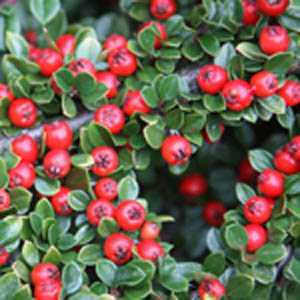 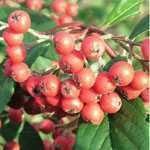 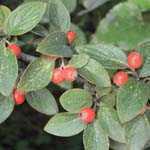 Cotoneaster Horizontalis (Fishbone/Herringbone) as its common name implies the shoots and branches of this attractive low-growing spreading shrub take on the appearance of a fishbone and present very attractive bright round glossy leaves which turn orange-red in the Autumn before falling. 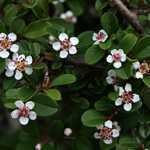 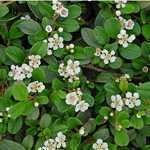 Masses of white flowers in late spring early summer are followed by a bold display of red glossy fruits. 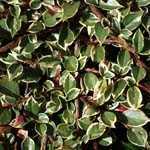 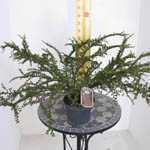 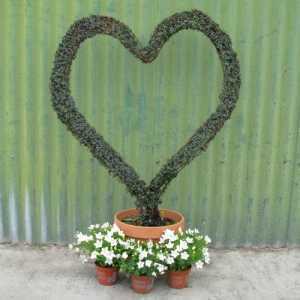 Ideal for ground cover and trailing on a wall or trellis.